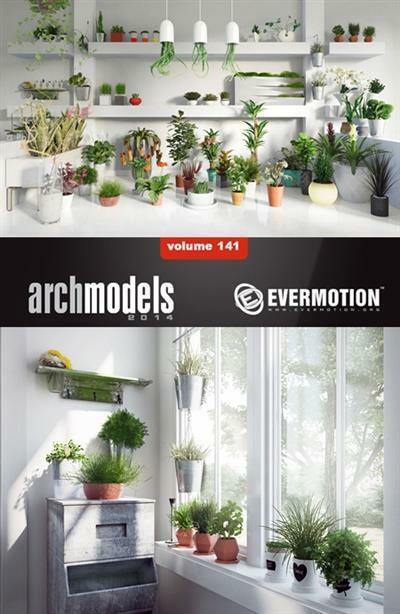 Evermotion Archmodels vol 141 includes 48 professional, highly detailed 3d models for architectural visualizations. This collection comes with high quality indoor plants with all textures and materials. Plants species are not specified. Presented models and scenes were rendered in V-ray with 3ds max. Scenes are not included.